VERSATILITY is the first thing I look at when buying something and if I cant find at least 4 ways to wear it, I simply wont get it. I'm not the kind of girl who buys something thinking I'm going to use this only for this particular event- just like many, I want my bang for the buck. 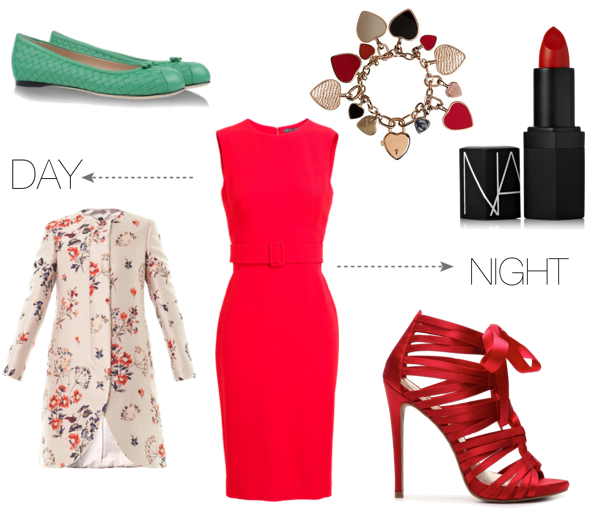 Inspired on this thought, I created this post which shows in each collage, 1 highlight item and 2 ways to wear them: one for day, one for night. I hope you find this post both inspiring and useful! Al comprarme algo lo primero que pienso es en el tema de la versatilidad. Si no encuentro por lo menos 4 diferentes formas de usarlo directamente no me lo compro. En especial cuando es una pieza que me costo comprarmela, quiero poder sacarle hasta el ultimo centavo dandole su buen uso. Inspirada en esa idea, aqui incorpore diferentes cuadros con una pieza de protagonista. Esta pieza principal la combine con dos diferentes looks: uno de dia y uno de noche. Espero lo disfruten y les sirva de inspiracion!